﻿Jason Etheredge's novel "The Secret Of Mankind" is now available on Amazon.com. ﻿﻿Thank you for your interest in learning the Secret of Mankind. Since the beginning of time, man has searched every crevice of the earth to find the one thing that will connect him to his Creator, but few have had the imagination, open-mindedness, patience or time to assemble all of these clues and decipher what that secret is. Despite our religious, cultural, racial or ideological differences and any other inconsistencies that may divide the human race, we do have something that connects us all. What the secret is, will be revealed in due time. The answers to life's mysteries aren't always discovered at the end of the journey, but sometimes the clues along the path will make perfect sense when we look back at where we've been. The secret of mankind can be discovered in the same manner when we look at every facet of our history. In everything, there is a certain amount of mystery and uncertainty. There will be conspiracy theories, and there will be doubts. History is a concept that either survives erroneously through blind faith or thrives intact through secrecy, loyalty and reverence among those who know the truth. There are no guarantees in life, and even what we know to be true can still be questioned. Starting in 2009, I started writing a novel that would encompass all that I had gathered from some of my favorite authors. It would be a book that would tell the secret of mankind. It would be in a time that was before widespread electricity, paved roads, and telephones. It would take place well before the internet age, and be told from the view of a man who had spent half of his life in the same small rural community in South Carolina that I lived as a child and the other half of his life in Egypt, Ethiopia, India, and England. The story is one that is heartfelt and will challenge you to look at the world in a different manner. Get your copy today from Amazon! 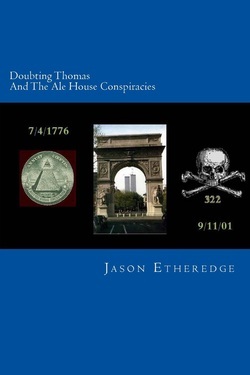 Also please check out my other novel, Doubting Thomas and the Ale House Conspiracies. The most important words you will never read are in the book you never open.